Hey everyone! I’m back again today with another fun knockoff project! 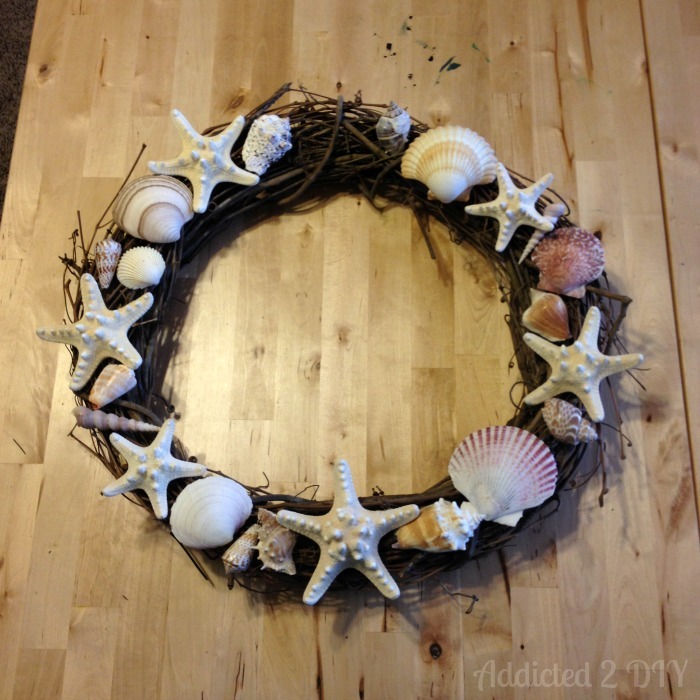 I was inspired to make this DIY seashell wreath after seeing this Faux Shell Wreath during one of my many evenings of drooling over all of the gorgeous items on Pottery Barn’s website. 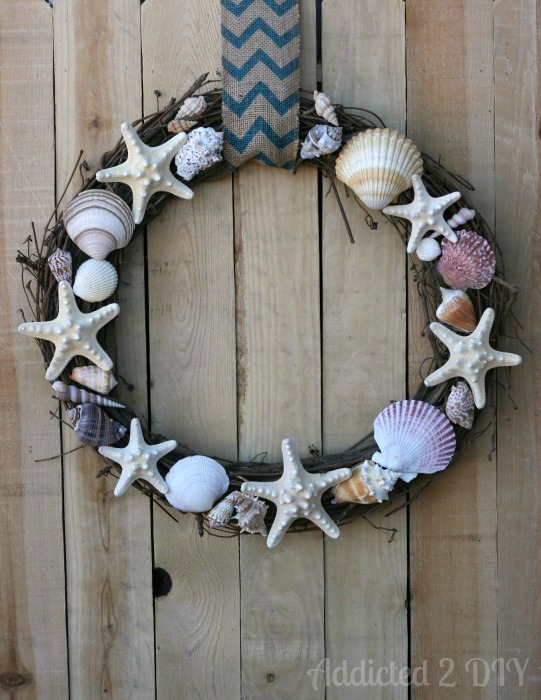 I loved the beachy feel of this wreath. Unfortunately, being in Arizona, we don’t exactly live near a beach. My brother-in-law; however, is in the Marine Corps and stationed at Camp Pendeldon in Oceanside. He and his family just recently moved into a new house off base and I thought this would be the perfect housewarming gift! It worked out perfectly that we got to spend some time with them during our Disneyland vacation this past weekend. 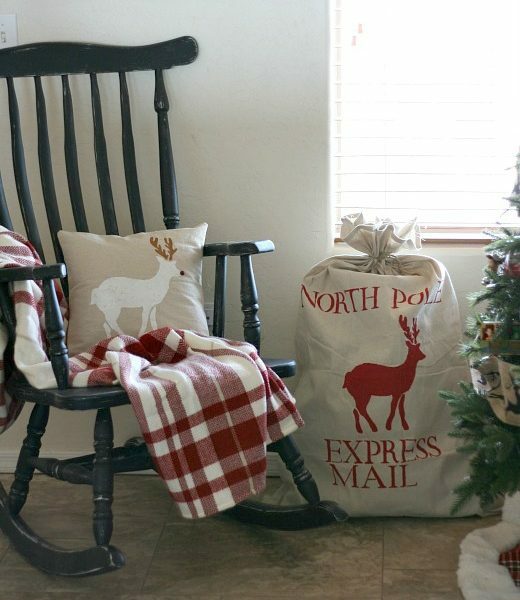 Pottery Barn’s version of this wreath is $89. My version was just under twelve dollars! I purchased all of my materials at Michaels and I happened to have a 40% off coupon and then a 25% off entire purchase coupon when I bought everything. 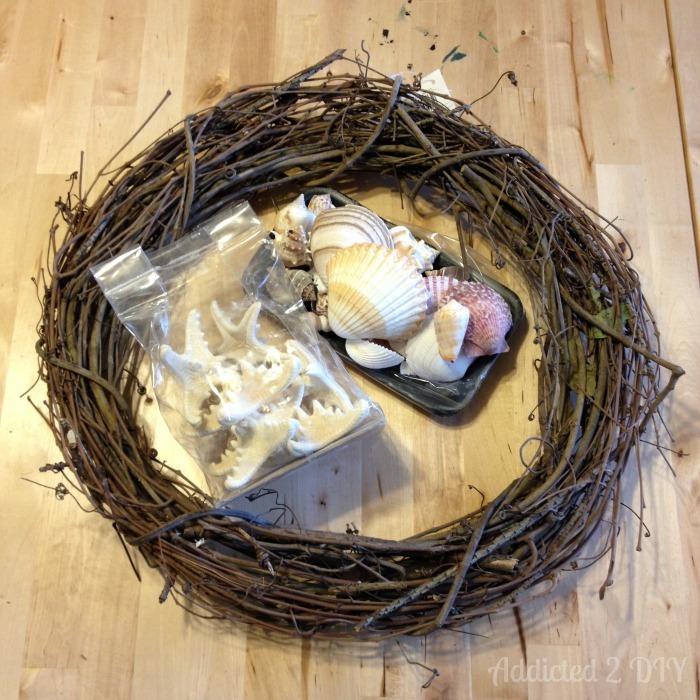 I used an 18″ grapevine wreath, a package of seashells, and a package of starfish to make the wreath. 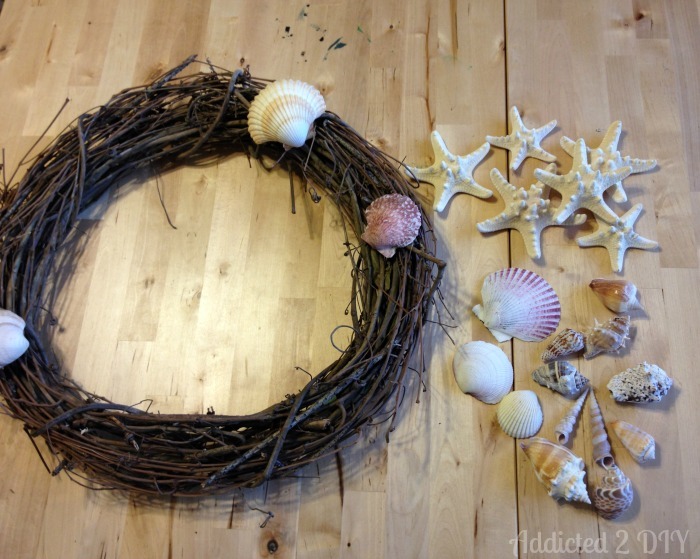 I began by laying out my seashells on the wreath in different ways to get just the right look. 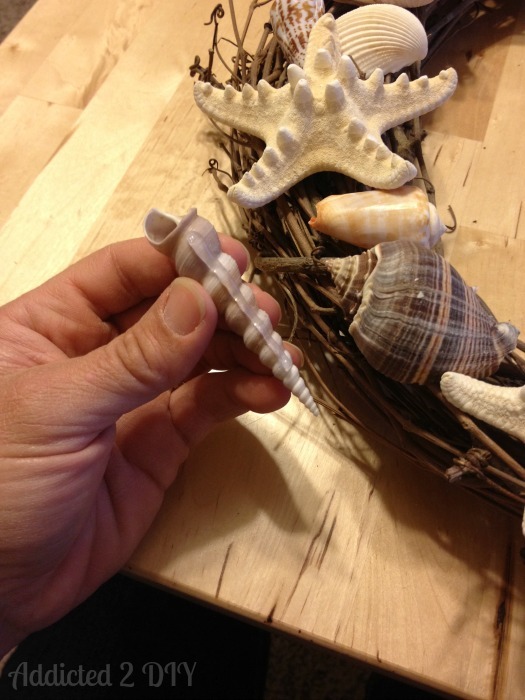 I played around with the shells and got them all laid out just right. I made sure to leave a gap at the top for the ribbon to hold the wreath. I enlisted the help of my handy dandy glue gun to attach all of the seashells and starfish to the wreath. Some pieces were a little tricky to find a good contact point with the wreath, but everything ended up attaching really well and it survived the trip all of the way from AZ to CA without incident! That was it! The wreath was so easy to make and my sister-in-law loved it! It looked great hanging on their front door and several times during out visit I wished I could have made one for our own front door. 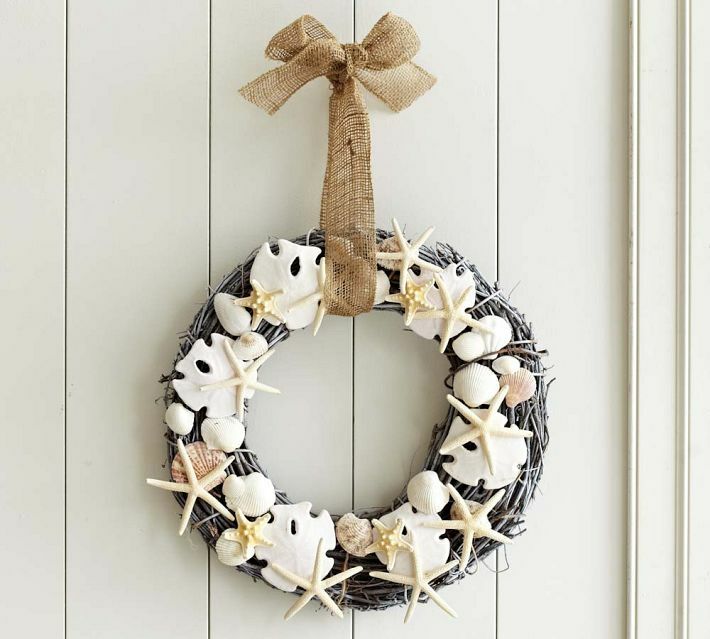 My husband had to remind me a few times that we live nowhere near a beach, so it wouldn’ t make much sense for us to have a beachy wreath in the middle of the desert. He’s my voice of reason a lot of the time. I hope you found this tutorial easy to follow, and if you make one for yourself I’d love to see it! I love the ribbon you picked as the hanger! It gives the whole wreath a modern feel. 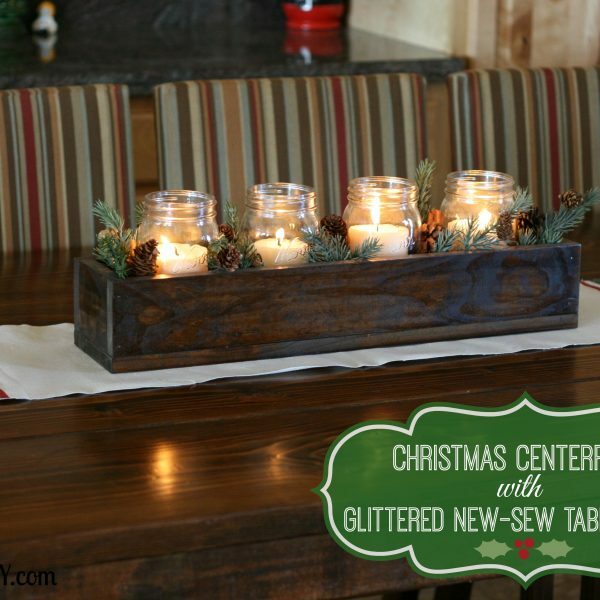 This is really pretty and I like it more than the Pottery Barn wreath. 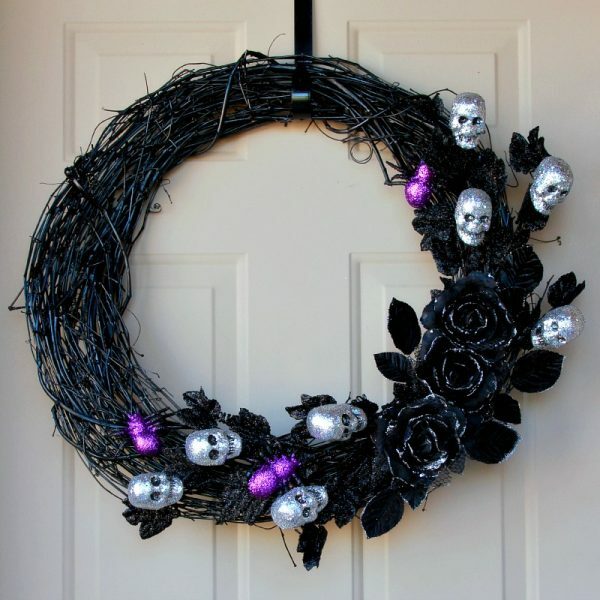 This wreath looks so cool, I live in Florida so this would always be in season here. During the Summer last year I decorated my house in a beachy decor vibe. 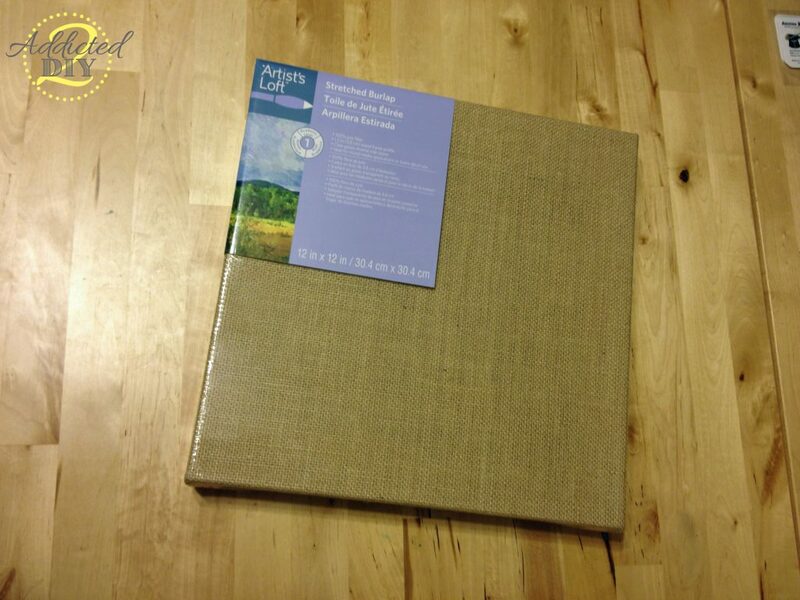 Plus I always love a Pottery Barn knockoff project. Great job! This turned out fabulous and at least your sister-in-law gets to enjoy it 🙂 Pinned! Thanks for sharing at The Makers! Thanks Katie:). She did really like it. I think I’m going to end up just making one for myself. Who cares if we don’t have a beach nearby! I’m loving this wreath. I like wreath to have different embellishments not just flowers and yours in so cool. Thanks for sharing visiting from cook it, craft it hop have a great day. Thanks Lorraine! I agree. I love flowers on wreaths, but is also like to change it up sometimes and go for a new look. You can totally hang that up! Even here in Arizona. In fact, I think our lack of water is even more reason to surround ourselves with all things beachy! I find the endless dirt and brown to be a little depressing, so filling my house with all the beachy things I can totally relaxes me. I’m adding this wreath to my list of things to make ASAP. It’ll look great hanging in my living room. And maybe I’ll make one for the front door as well! Claire recently posted…Bruce’s Coronation, I Mean, Graduation Day! I also live in the desert I live in New Mexico and I love Beachy, Nautical things. It is not a dumb idea if it is something you love. I say make you one. I am going to make me one. Don’t always listen to your husband listen to your likes.